Copyright © 2006 Thankyou Music (PRS) (adm. worldwide at CapitolCMGPublishing.com excluding Europe which is adm. by Integrity Music, part of the David C Cook family. Songs@integritymusic.com) / Integrity's Hosanna! Music (ASCAP) (adm. at CapitolCMGPublishing.com) All rights reserved. Used by permission. 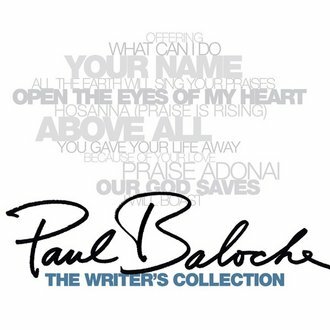 CCLI#: 5917011 Writer(s): Brenton Brown, Paul Baloche Copyright © 2006 Thankyou Music (PRS) (adm. worldwide at CapitolCMGPublishing.com excluding Europe which is adm. by Integrity Music, part of the David C Cook family. Songs@integritymusic.com) / Integrity's Hosanna! Music (ASCAP) (adm. at CapitolCMGPublishing.com) All rights reserved. Used by permission.